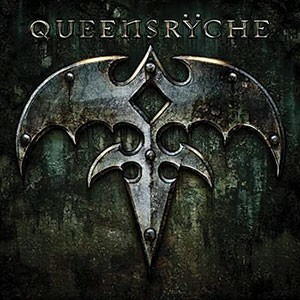 With the split between Geoff and the rest of the Queensrÿche guys, coupled with a fans backlash against recent recorded material, it would be easy to dismiss Queensrÿche as an 80s has-been band and care not a jot as to what their future plans may contain. But that would be to miss out on quite an astonishing return to their early days albums that goes to show that this version of Queensrÿche, with new singer Todd La Torre, on board are capable of revitalising the brand and repairing some of the damage the ugly split caused. From the opening sequence of ‘X2’ that segues into the first song ‘Where Dreams Go To Die’, it’s immediately apparent that Queensrÿche have tapped back into their glorious 80s period and given the fans melodic songs with immediate appeal. Todd La Torre has a killer voice that compares favourably with Geoff Tate and it’s easy to see why he was such an obvious choice to front this new version, with Tate-like inflections littered all over the songs in a wonderful evocation of their early years. Scott Rockenfield has excelled himself with such wonderful drum patterns and musicality weaving spider-like webs around the rhythmical heartbeat of each and every song, particularly on the afore-mentioned ‘Where Dreams Go To Die’ and the intricate drum patterns, fills and cymbal crashes on ‘Vindication’. Guitarists Michael Wilton and Parker Lundgren are able to create sonic landscapes with the free flowing melodic ‘In This Light’, the slightly down-tuned aggression of ‘Queen Of The Rÿche’ era ‘Spore’, the heavy melodic and fast lead of ‘Redemption’ and the furious guitars contained within the afore-mentioned ‘Vindication’, whilst Eddie Jackson’s bass is best heard on the throbbing fast-paced Rocker ‘Fallout’ and again featured prominently on ‘Redemption’. Aside from Scott’s superb drumming, he also contributes keyboard fills and arranges a full orchestra that features on the epic ‘A World Without’; its slow measured pace and Todd’s impassioned vocals liberally sprinkled with flashes of colour from Michael and Parker’s guitars. With all the members having a collective input on the songwriting, it’s a far cry from the recent Tate-led experimental releases and reinforces the belief that Scott, Eddie and Michael in particular were at musical odds with Geoff regarding the direction of the band. Produced by James ‘Jimbo’ Barton alongside the QR guys –who many might recall engineered and mixed on their era defining ‘Mindcrime’ and ‘Empire’ releases – this is undoubtedly an album long-time fans will play again and again. Anyone who doesn’t buy a copy of this album will be missing out on a treat!